Trade in money for HOTH Credits to put towards your future SEO wishes. We know how difficult it can be finding the right company to meet your SEO needs. And we’re convinced we’re that company. HOTH Credits is a way for you to swap out your cash for credits. This is makes it easier for you to budget out a portion of your company’s revenue and deposit it into your HOTH account. We have the best products in the industry. If you plan on using our services, set aside your money by purchasing HOTH Credits. This service is great if you company has minimum marketing requirements. Can’t figure out where to spend the surplus? Put it in HOTH Credits. 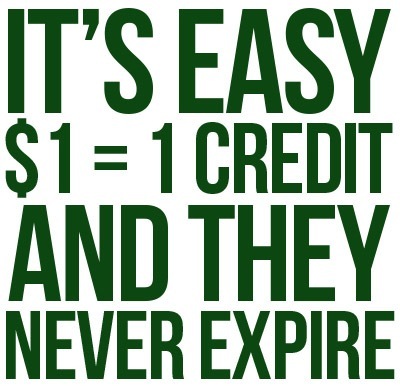 Our credits never expire and simply log back in and put those credits towards any of our services. They only service you cannot use your credits on is any reoccurring orders. Log into your HOTH account and purchase the desired amount of credits. At anytime, log back into your HOTH account and spend your credits. You can pick from any of our products and services, except for any reoccurring order.